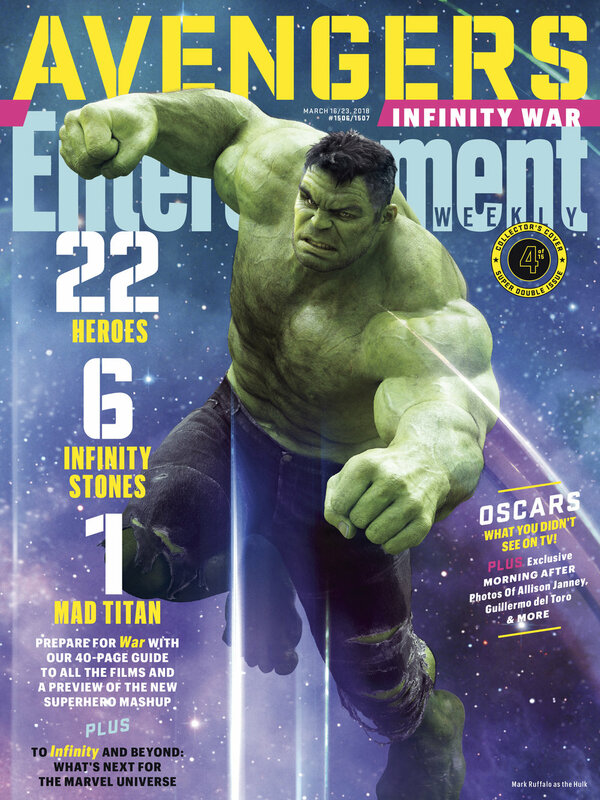 The latest issue of Entertainment Weekly features 15 commemorative covers and 22 superheroes (plus one villain), to celebrate the upcoming movie Avengers: Infinity War, which will be the 19th film in the Marvel Cinematic Universe. 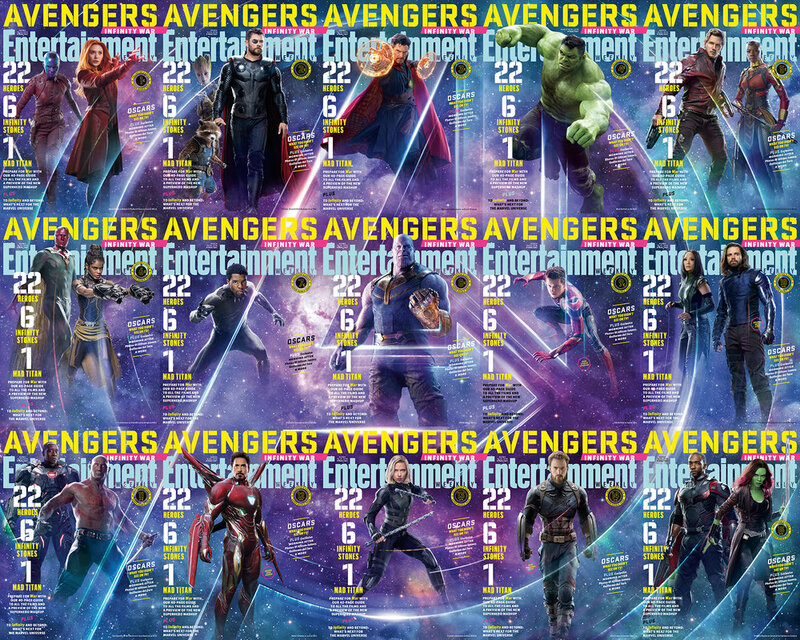 Executive Editor, Tim Leong, said that it took almost a year to plan; when all the covers are combined into one bigger image (see above), it showcases the Avengers logo. Keir Novesky, EW's Design Director, executed the cover design. This is the most covers Entertainment Weekly has put together for one issue in its 28-year history, setting a new record for the publication. The two issues that tie for the second most covers produced were 11 covers for both Lost in 2010 and True Blood in 2012. All 15 covers were exclusively revealed yesterday morning on Good Morning America. Check out the reveal on Good Morning America, the cover video and all 15 covers below! I'm so thrilled we were able to pull off these 15 amazing Infinity War covers. They all interlock into one big image and it took nearly a year to plan. It's the most covers @entertainmentweekly has ever done, which is something. So excited for everyone to see the incredible goodies we have in this 40-page package. Truly a team effort, but big thanks to @henrygoldblatt @keirnov @alison_wild @kpsul & Jennie & Anthony for helping make this a special issue for the readers. "The biggest joy [about Daily Digits] is not that I’ve been able to own this fun project but that it has inspired people to push the limits of their creativity in their respective disciplines." What started out as a month-long creative exercise turned into a passion project that has lasted 1000 days. Dian Holton, Deputy Art Director at AARP, has continuously created and posted images on her Instagram of numbers made from everyday objects such as ramen, paper clips, and flower petals. We asked Dian some questions about her passion project and what's next now that she's hit 1000. SPD: What do you call this project and where can we view it? Dian Holton: Daily Digits. You can see them on my Instagram @dianholton or on dianholton.tumblr.com. SPD: When/why/how did you start? DH: In February 2015, I yearned for something that would allow me to create without boundaries tied around my imagination and something that would allow me to explore using the aesthetic I had been unable to use in my day-to-day jobs. Within a few days, I brainstormed and began executing Daily Digits – a series of numbers that were made using mediums I was surrounded by. 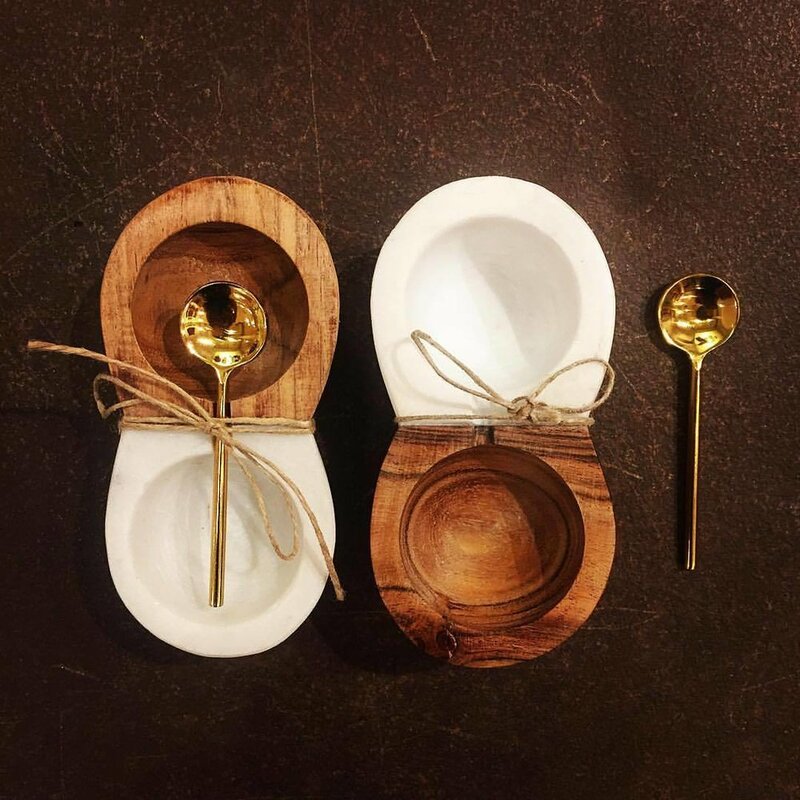 On top of making these objects every single day, I was doing it in a disciplined manner. The only constraint this time was that I had to post every day. Initially, I envisioned Daily Digits being a month-long project but after 30 days of playing with negative space and using objects like belts and flowers, I couldn’t stop. I kept creating; I was seeing numbers in everything around me all the while building up a community following via my social media platforms. My audience began to expect the daily post and would chastise me if it was getting too late in the evening without one having gone up. As I posted on Instagram, Facebook and Twitter –the audience grew. I had parents whose kids would guess the medium daily, and creative directors referencing them for projects. That was over two years ago. To date, I’ve rendered 1000 miniature works of art. The biggest joy is not that I’ve been able to own this fun project but that it has inspired people to push the limits of their creativity in their respective disciplines. SPD: You’ve been doing this for over two years, were there any challenges you faced? DH: Absolutely. In the beginning, I didn’t want to duplicate mediums so I had to constantly be on the lookout for something different. Case-in-point, the last 100 days (900-999). They were tough. I struggled to find unique mediums. And to be clear, it wasn’t that I couldn’t be creative, it’s that I’d used just about everything in my house, my job, my friends' homes, etc. I had run through EVERYTHING! Also, some mediums weren’t trying to work with me. I could look at a flower, deconstruct it in my mind and then get ready to photograph it and it would curl. #Rude. Or I’d have a background such as glitter paper for example. It looked great in my hand but was blurred under the camera. Lastly, posting times. I was never consistent. Often I’d post before midnight but there were many times where it was 2 or 3AM. SPD: Why was Instagram the perfect medium for this project? DH: Instagram was great because it allowed me to create anywhere, post at a moment's notice and engage with friends domestically and abroad. The bonus of having filters to slightly alter the image was extremely helpful too. It really helped my images come to life. And yes, each one was shot on an iPhone (5, 6). I would love to see what I could do with an iPhone 8 or 10 wink wink. SPD: What type of feedback have you received from your friends/colleagues? DH: Oh the feedback. Where do I begin. All of them were pretty positive. A lot championed me to keep going; they even suggested that I create a coffee table book and/or have an exhibit. All of which I’m considering. But back to feedback, occasionally people said it felt like a brain game– an exercise to decifer the medium. When I rendered #949 of flossers, some of the comments included: “I see antlers,” and “This reminds me, I need to make a dentist appointment.” Meanwhile, the bras in #886 and pantyliners in #899, caused quite a stir between the genders. Overall most people looked forward to the next post. SPD: How does it feel to hit that milestone of 1000 posts for this project? DH: It feels pretty surreal and also effin’ amazing. I’ve gotten over my commitment issues. SPD: What comes next? Will you continue this project and if so, how long do you think you’ll keep it going? DH: Haha, those are the questions of the hour. I’m not sure exactly what comes next however I do know that I want to expand the platforms that it can be experienced on. Upon reaching #365, I wanted to create a square desk calendar and share a little tidbit about the medium used. And then I thought, wait maybe I should look into doing a book. As I continued to create and talk to followers like photographer Ari Michelson, it was clear I needed to have a book and exhibit. Follower Juana Medina, blew me away when she suggested tiles and other home goods. 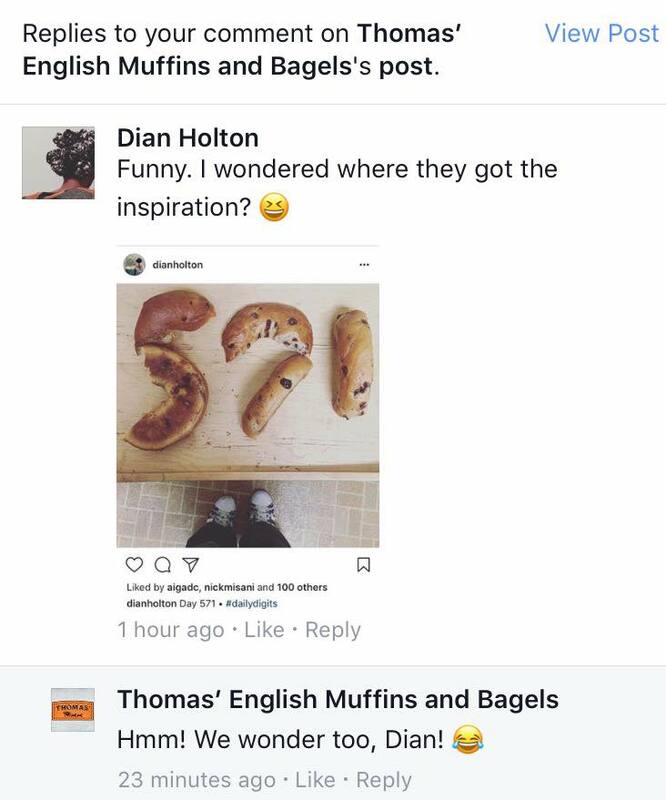 Whhaaaa?? I have 20 years of retail experience (mainly doing interior and exterior displays) but never had I really applied the merchandising aspect to my own work, so to hear her suggest that, reminded me of the endless possibilities. Last night, illustrator Edel Rodriguez, was interviewed by John Vause on CNN about his work for TIME and Der Spiegel. Check out his appearance on CNN above! And that’s a wrap! Another marathon @instylemagazine Instagram elevator booth in the books. Check out all the videos on the InStyle feed. Director @thefacinator knocked it out of the park. Dream team @maceyhall @ruthiefrieds @happygojoanie @caseyarmijo and crew! And @kellywearstler for the chic design! 🍾#cheers! One of the highlights of the 75th Annual Golden Globes were the videos from InStyle's Instagram Elevator Booth at the InStyle and Warner Bros. after-party. InStyle Design Director, Brian Anstey, wrote about this year's elevator booth HERE. View some of our favorite videos from the evening below!